The goal of this challenge is to design a secondary logo, which will be used marketing materials either on its own or with our current logo (see Attachments section). Submissions should look modern and simple, but be designed to “age well” (i.e., not look outdated after a few years). It should go well with current logo, but also be able to stand on its own. The Laboratory for Innovation Science at Harvard (LISH) is spurring the development of a “science of innovation” through a systematic program of solving real-world technical challenges while simultaneously conducting rigorous scientific research and analysis. 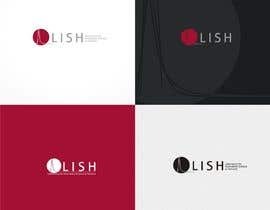 LISH focuses its research on projects related to crowdsourcing innovation; knowledge creation and dissemination in innovation; the management and structure of innovation; as well as incentives that influence innovation. If you have any questions leave them in the message board! How can I post an entry? what does the "3 extreme value distributions plotted from -4.0 to 0.55" line means ? I did not create the logo you want, I created the logo I want. By the way, it seems like that gev line thing. please check #519 #520 #521 #522 #523 #524 thanks . Please kindly check #533, Cheers! Check #517, please- Thank you. Please check NEW #477 #478 #479 Thank you. Please check #425 Thank you! pls check Entry #375 thank you!